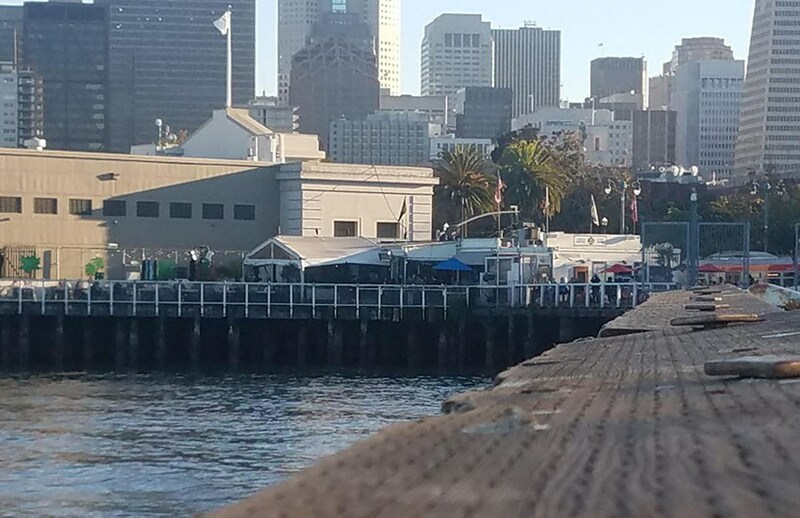 “[The] seawall, a 100-year-old, three-mile-long structure that runs the length of the Embarcadero from Fisherman’s Wharf to AT&T Park, protects the city’s northeastern shore from the Bay and, according to urban planners, is in desperate need of repair. Prop. A, placed on the November ballot by the San Francisco Board of Supervisors, would create an infusion of cash to keep the seawall upright and in place. There is broad support for Yes on Proposition A. From all of the San Francisco supervisors, Mayor London Breed, Senator Dianne Feinstein, and Representative Nancy Pelosi, to the Sierra Club, SF Republican Party, and major stakeholders including Dignity Health, Airbnb, Facebook, Boston Properties, and the San Francisco Giants. "For Peskin, whose district includes Fisherman’s Wharf, repairing the seawall is a job that affects public and private property, and has to be done. The U.S. Geological Survey says there is a 72 percent chance of one or more 6.7 magnitude or stronger earthquakes striking the Bay Area in the next 25 years. “This is literally an investment in San Francisco surviving in the next 100 years,” he said." The limited-edition Seawall Stroll espresso produced by Ritual Coffee and Seawall's Sea Puppy, a sour beer, available at Black Hammer Brewing's taproom near South Park, are raising awareness of the century-old seawall beneath the Embarcadero. On this Labor Day, as we embark on one of the biggest and most important infrastructure projects in our generation — strengthening the Embarcadero Seawall — we want to highlight the importance of San Francisco workers in these efforts. Proposition A, the Embarcadero Seawall Earthquake Safety Bond, requests approval for a $425 million bond debt assist with seawall repairs. The current seawall is at risk for failing during a major earthquake and is protecting an estimated $100 billion in property and infrastructure along San Francisco's Embarcadero. A more than $400 million bond proposal to repair San Francisco’s seawall will go before San Francisco voters on November 6, 2018. 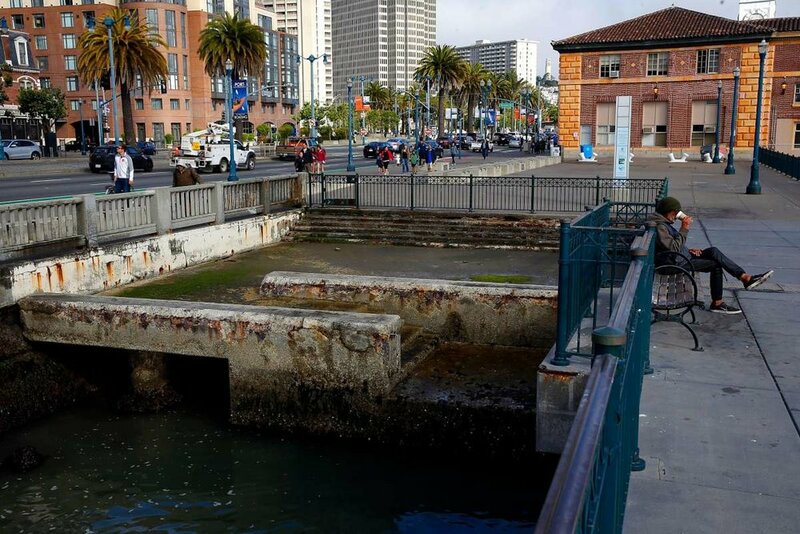 Also on Tuesday, the supervisors voted to place on the November 6, 2018 ballot a $425 million bond measure to make vital repairs to the city’s crumbling Embarcadero seawall. Should the bond measure make it to the ballot and win a two-thirds approval from voters on November 6, 2018 — as it’s widely expected to do — the money raised would fund the bulk of the first round of planning, construction and repair work on the seawall. An aging seawall along San Francisco's iconic waterfront would leave the city defenseless in the event of sea level rise or a major earthquake, but new state legislation announced Monday would help secure more funding to strengthen it.